Last Sunday morning was the fourth race in the Peel Districts Cycling Club’sTime Trial series. What was unusual for the morning was the strong southerly, reminiscent of the old Wednesday afternoon races. Which saw riders pushing into the wind for 8 kilometres, some struggling to hold 30 kilometres an hour in parts. Before turning for home for 8 kilometre of wind assistance pushing the riders along, with most touching 50 kilometres an hour on the return leg. 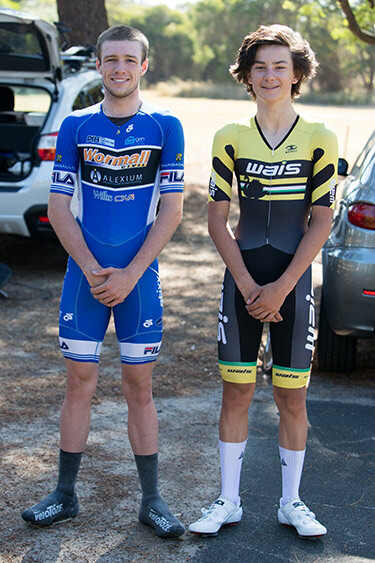 It was the youngest riders on the day, Oliver Bleddyn and Jordan Dawson who had cut their teeth time trialling as under 15s on Wednesday afternoons. A couple of years later, destroyed the course in trying condition. With Bleddyn recording a time of 21 minutes and 24 seconds, 20 seconds faster than any other rider this season. Dawson also bettered the previous best time finished 18 seconds behind Bleddyn for second fastest time on the day. The third fastest time belonged to Steve Ware, who is almost old enough to Bleddyn and Dawson’s grandfather. His time was well behind the youngsters, but well clear of all the other riders. The most improved rider was Lesley Burch who was 28 seconds faster than her previous race time. With Nick Cowie maintaining the lead in the season long consistency award, with three rides were within 5 seconds of each other.